Gleamed ✎ Adding the Sparkle to Illustration: First Walk with Tami! This morning I met with my Guide Dog Mobility Instructor, Sue Scott, at the Mercure Georgian House Hotel in Bolton. This allowed me to have a dry run so I know how to get there, and also to orientate myself around the hotel in preparation for when I begin my training with Tami on December 1st. I'm now aware of where everything is located; from the rooms, lounge and dining area to the reception, gym and spending areas. 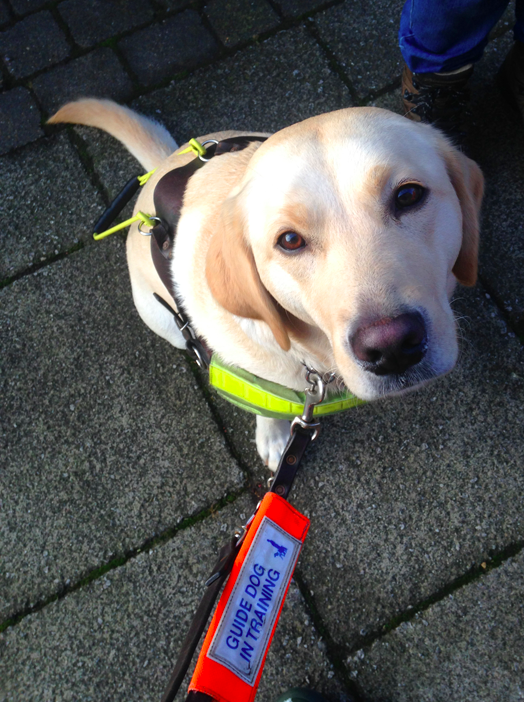 After having a run through with my long cane, it was then time to have my first proper walk with Tami! 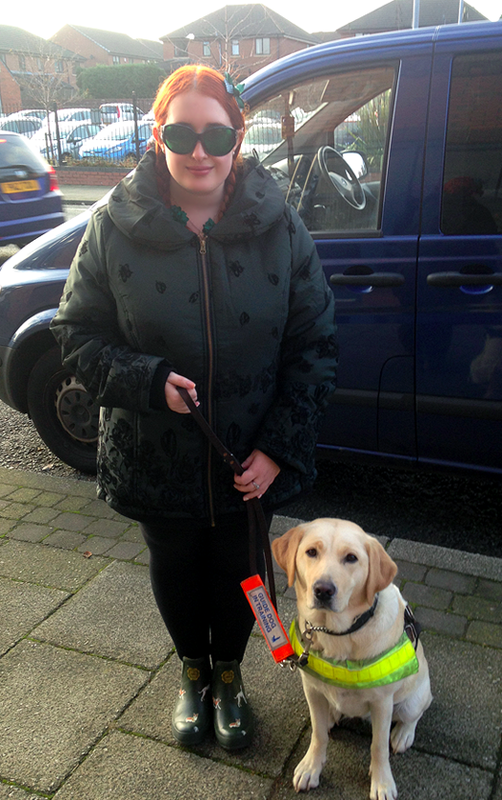 Tami and I were recently matched on 6th November 2014 and had our first meeting the day after but couldn't have a walk together as my area is unfamiliar and wouldn't give a proper overview of Tami's abilities. We did some routes around Bolton that Tami would be familiar with from her training sessions - and she breezed through it! She obeyed all of my commands and we crossed kerbs, zebra crossings and lights down busy streets and side-streets, and she was a dream! We are truly a perfect match, from our matching small heights to our moderate walking speeds, and I can't wait to begin my training with Tami at the beginning of December!